Home News Jersey City News Is this really Jersey City? Is this really Jersey City? Teachers from Jersey City, Bayonne and other parts of northern New Jersey stood together in front of the Jefferson Avenue entrance to Reservoir No. 3 in Jersey City. While a stone wall extended around the exterior of the reservoir for blocks, the gate allowed the teachers a glimpse of the wonderland inside. 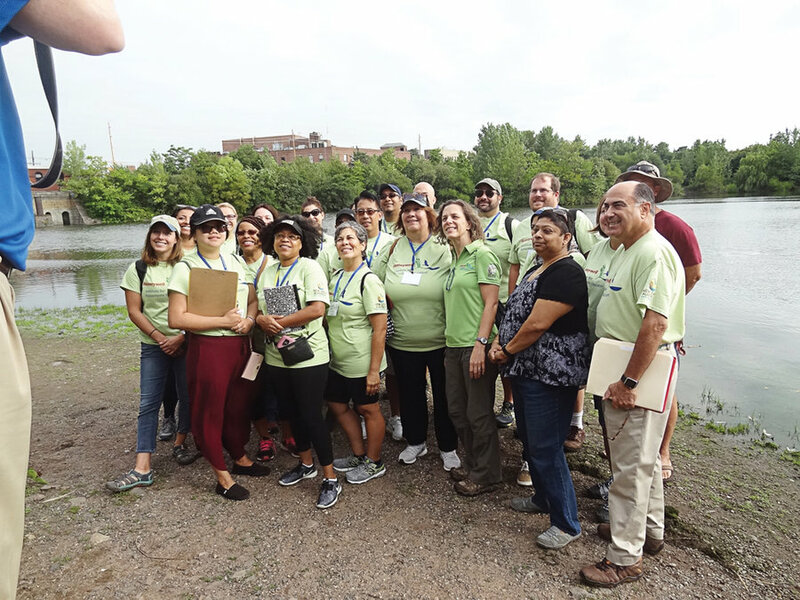 Many of the 18 teachers from Bergen, Essex, Hudson, and Middlesex counties, who came here at the end of August as part of a four-day immersive educational experience focused on urban ecology and sustainability, seemed puzzled by what they saw. All around them was the city neighborhood that has always grown and thrived around the site. But inside was a lost world, a throwback to another time and a different environment that few except some of the Jersey City teachers could have expected. The reservoir, currently a nature preserve, was constructed in 1870 to accommodate Jersey City’s need for freshwater pumped here from the Passaic River a few miles west. Operations closed in 1910 when a better source of water was found in Boonton. The site went unused for decades until the Reservoir Alliance began to lobby for it to become a nature park. 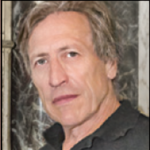 While those plans have yet to be realized, the site has become a significant resource for the study of the environment. 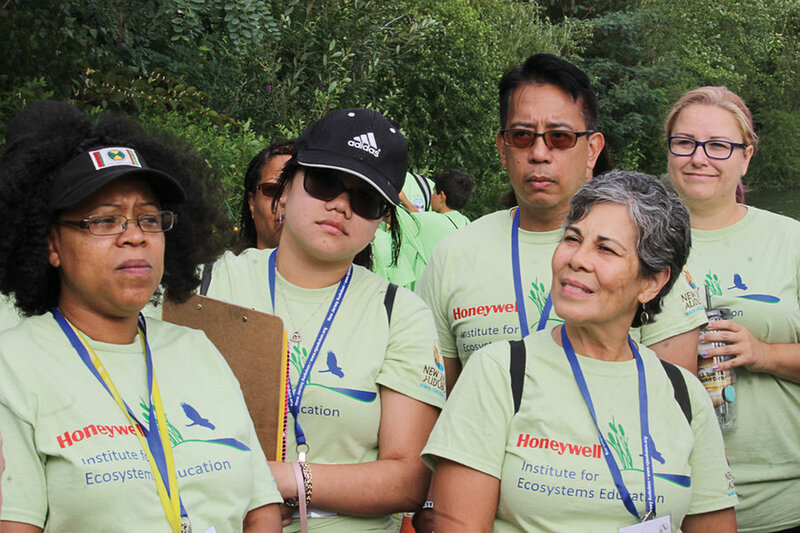 The four-day innovative summer institute, which is a partnership between the Honeywell Institute for Ecosystems Education (HIEE) and New Jersey Audubon, combines classroom instruction with a variety of outdoor experiences in the urban environment. It helps teachers learn about their communities and provides them with methods for empowering students to tackle environmental sustainability projects in the upcoming school year. Armed with journals and sketch pads, the teachers moved along the southern shore of the large lake where they could see a remarkable variety of wildlife and fauna not typical in the city: long-necked egrets striding in the shadow water, turtles poised on fallen logs and stones, geese floating near islands in the deeper water. Rachel, an eighth grade student from Jersey City who took part in the event, spoke about soil erosion, a significant problem around parks and other areas in Jersey City. “Cooperating with Honeywell and New Jersey Audubon has helped us get new and innovative ideas so that we can fix this problem,” she said. 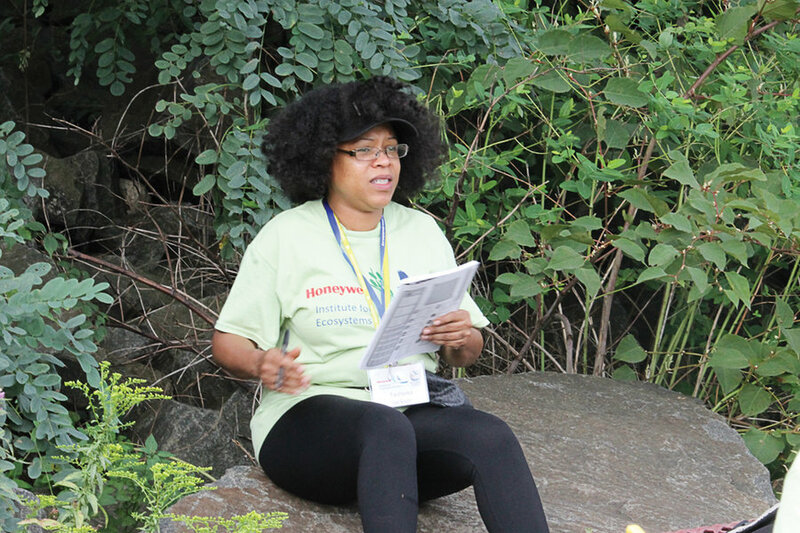 The idea behind the four-day event was to allow teachers to experience various environments in the area, and biodiversity, and then let the teachers use this to develop new lessons for their students, said Allison Mulch, program director for Education for New Jersey Audubon. “HIEE has empowered students to be the advocates for a better environment in their communities and to reduce pollution or waste in order to be eco-friendly,” said Manisha Shah, Science Supervisor at Jersey City Public Schools. Diana Cady, a resident of Bayonne who teaches at PS No. 5 in Jersey City, was more than a little impressed by the landscape as well as the experience. Mulch said lessons at the reservoir and other sites the group visited taught the teachers about the environment that survives in urban areas. 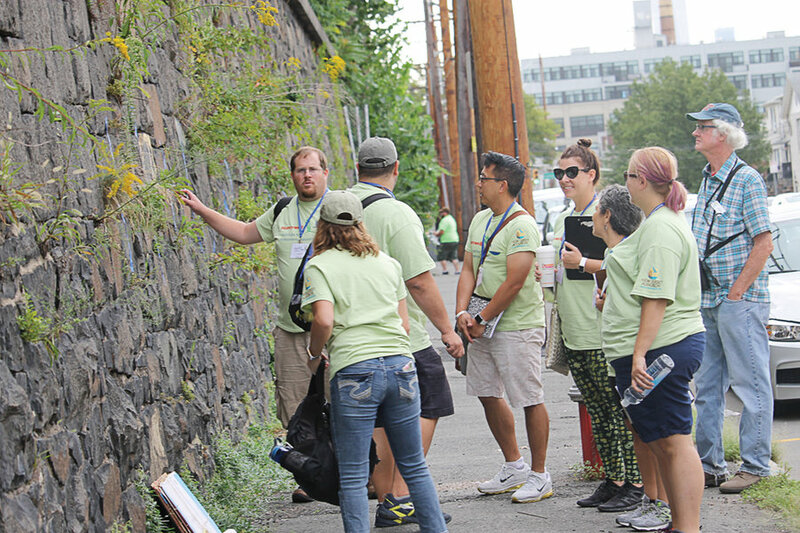 While the reservoir was an obvious choice, some of the teachers also learned about how biodiversity exists even in an urban parking lot. One study in Jersey City looked at the affects of rain runoff. 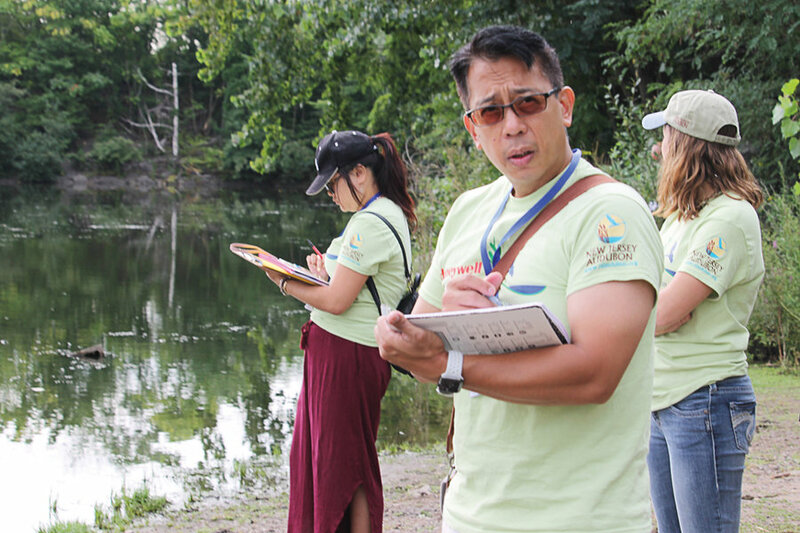 Through this collaboration between New Jersey Audubon and Honeywell, and through community involvement and school engagement, the hope is that students will become conscious of their impact and commit to conservation efforts in their communities. The 18 participating teachers represent 15 Bergen, Essex, Hudson and Middlesex County schools. This included seven schools in Jersey City, the Nicholas Oresko Community School and Academy of Greatness and Excellence in Hudson County, and John P. Stevens High School in Middlesex County.